This no-nonsense recipe turns what is often considered a fussy meat into the simplest ingredient. Create impressive flavours and a nutritionally rich dish in only 20 minutes without any pretence. 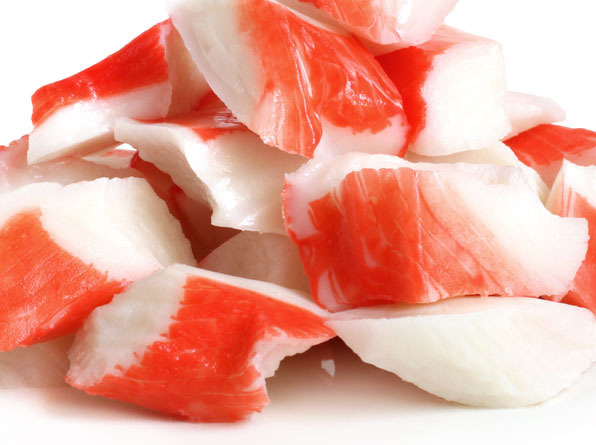 Crabs are one of the more overlooked crustaceans when it comes to the dinner table, but they promote good heart health and ‘good cholesterol’ with their Omega-3, low saturated fat, and chromium content. For simplicity, we’ve opted for canned crab that can be found in most supermarkets, but if you’re feeling adventurous why not try cooking a few fresh crab claws yourself? We’ve chosen to add balsamic vinegar as a low-sodium seasoning alternative to salt, but the meal still holds its own without it. Alternatively, try adding lemon juice for an extra kick. Bulgur wheat is just as easy to cook as rice but is lower in fat and calories, higher in fibre, and adds a nice nutty flavour to the dish. Bulgur is a wholegrain foodmade from wheat kernels which is very quick to cook. It’s particularly good for people who are trying to maintain a healthy blood pressure, since it is a low glycemic food. A whole host of health benefits have been attached to kale, which has attracted a cult-like celebrity following in recent years. Fashion and foodie pretence aside, kale is very simply just a very nutritious vegetable with a high vitamin, iron, and mineral content, and is a good for managing cholesterol levels. If you’d rather avoid the hype, swap out the kale in this recipe for another dark leafy green, such as spinach or broccoli. Start cooking the bulgur wheat according to instructions on the pack. Put the kale in a colander and place it over a saucepan of boiling water. Put the saucepan lid on the colander and leave to steam for 8 minutes. Put the olive oil, courgettes, onions, and garlic in a frying pan and cook on a low heat until they start to soften. This should take about 5-8 minutes. Once cooked, This usually involves letting the grains sit in water for a few minutes without heat, and then adding heat for the actual cooking. Take advantage of the soaking time to prepare your vegetables. Once steamed, add the kale to the frying pan along with the drained crab and balsamic vinegar. Mix well over a low heat to ensure the crab is warmed through. Drain the bulgur wheat and serve.